The size, the style and the quiet street location combine perfectly to make a quality low-maintenance home in this two-level townhouse. Ideally positioned on the border of Mitchelton and Enoggera, it is perfect for those looking for a convenient lifestyle in a highly private and very secure setting with all lifestyle amenities within a stroll from the front door. With 210sqm of land to enjoy, the home makes a very private haven tucked away in an elevated position with a North Easterly Aspect within a well presented complex of only six residences. Inside, it has been freshly painted throughout and the lower level has an air conditioned open plan living and dining area plus a lovely leafy atrium that overlooks the rear garden. The kitchen is well appointed and features good bench space and appliances, plus there is an internal laundry, a separate WC and large understair storage. The upper level has new carpet and is home to two good-sized double bedrooms that each have ceiling fans (with the main bedroom airconditioned) and built in robes, plus a large bathroom with spa bath, shower and WC. Step out the back and you will find a private garden with paved entertainment areas, a generous lawn, garden shed and fern house. There is also a lock-up garage with internal access. 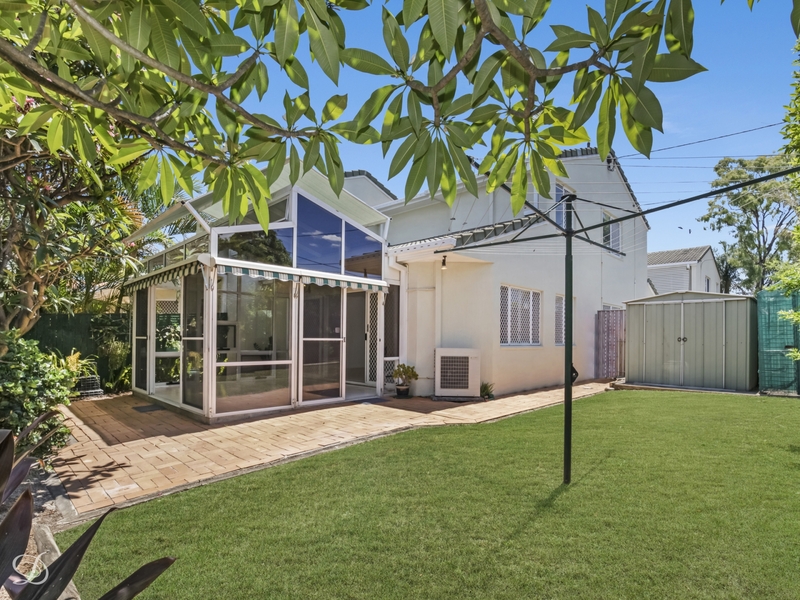 The incredible convenience of being so close to Mitchelton and Gaythorne train stations, Blackwood Street cafes and Brookside Shopping Centre makes it ideal for those who value position and privacy, and are looking for a carefree lifestyle that has it all. Phone Haydn Denovan to arrange a private viewing or for more information.